I'm happy to say that our semi-weekly recovered-bikes roundup is late because we were busy RECOVERING SO MANY FREAKING BIKES. Just to recap, we also announce our recoveries on Twitter, but it isn’t possible to get the full story in 140 characters. And the 16 recoveries here have some great stories - a bike returned on the victim's birthday, a recovery via Instagram and a bike theft victim catching a shop selling multiple stolen bikes. Absolutely nothing I can write will top Seattle Bike Blog's coverage, which details how amazing people can be when it comes to recovering stolen bikes. This story made my week - a total stranger recognized this bike from our Seattle stolen Twitter, recovered it and returned it to the victim - who just happened to be on a bike ride celebrating her birthday. We sent Alex (the hero) a Bike Index shirt for being so amazing. Score one for the Portland Police! This Stumpjumper was another recovery from the officers with Portland's Bike Theft Task Force with a pretty straightforward ID through the Bike Index (right after we'd published our last recovery roundup). Thanks so much - you guys helped save my baby! Immediately after the bike listed above came though, PPB Ofc. David Bryant recovered this Specialized Allez and tweeted about it. (Photo is via: @ppbbiketheft). Correction: score TWO bikes for the Portland Police! The police found my bike and connected it with me because I registered my serial number with your site. Thanks for your good service! My bike was scratched, missing a rack and water bottle holder, and had the cleats and seat changed out -- but, it is back. And I am grateful. Ok, so they're on a roll: that's THREE bikes for Portland Police and @ppbbiketheft, who're setting a new bike-recovery record for a week. Thanks for helping out to get my bike back in such a prompt manner - it’s surreal how fast it worked! We often repost photos of stolen bikes on the Bike Index Instagram Feed—which is exactly what we did with georgieboyest_1976's stolen bike post. He didn't even post the make, model, size or other info - he just sent the photo and a plea for help after it was stolen out of his house. Long story short: days later, one of our followers recognized this bike when it showed up in a local shop and alerted the owner. You can see his follow up post here. This was a pretty amazing recovery, because the bike was never even registered on the Bike Index note: we strongly recommend actually registering your bike, this is the only time this has happened. King County Sheriff Sergeant Cindi West spotted the bike after looking at Bike Index, a dude on 3rd and Pike had it. When asked, he said that it was his bike, and he'd had it for several months. Cindi knew this was incorrect and took the bike. 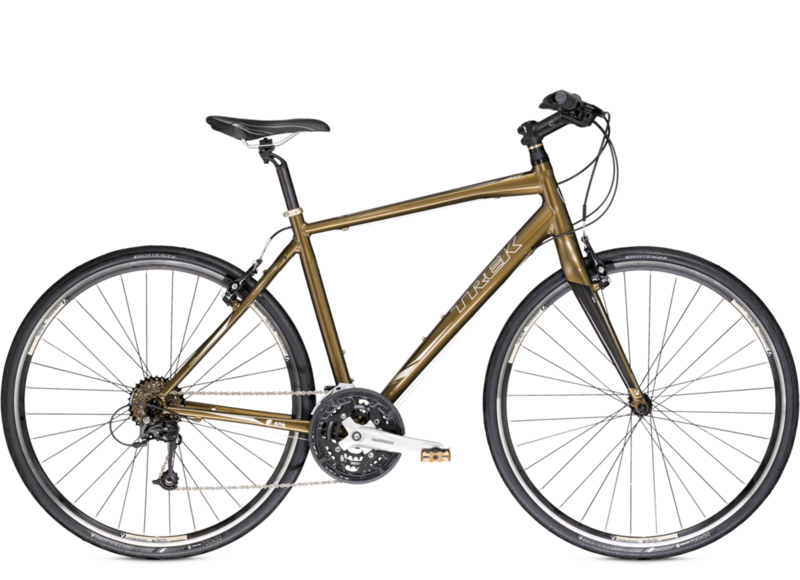 @tallnoe had her Cannondale CAAD7 stolen from outside the Palladian Hotel in Seattle, where it should have been safe under the watch of the valet service. The Palladian, to their credit, actually jumped into action and started to pull their security video, but in the meantime we helped get the word out. Fortunately, just a few days later Officer Cindy West with King County Sheriff's Office recognized the bike 'out in the wild', seized it, and was able to match it from it's Bike Index listing - even without a serial number on file. The photo you see here is of Sgt. West returning the bike to @tallnoe who, needless to say, was pretty amazed. A neighbor found it a block away and found me through the Bike Index. The bike was stripped, but frame and major components were intact. Bike is getting put back together now. Thank you for your help! Another unfortunate case where a buyer finds out the bike they just bought is stolen. After the buyer saw a local TV news story on bike theft that mentioned the Bike Index, they ran the serial on the bike they'd just purchased and realized it was stolen. Far too many people buy stolen bikes without knowing it and are duped into supporting a black market that is universally hated. This bike is back with its owner, though, so we're happy! Bike was spotted in the wild, owner had it back within the hour! A sharp-eyed Bike Index user spotted this bike on the street in downtown PDX, identified it by its serial, and got in touch with the owner. The owner rushed to the location and had it back within the hour. The email read like this: Hello - this bike is located just right of the entrance to the public parking garage between SW Yamhill and Taylor on 15th Ave. I contacted the police as I don't have the means to hold onto the bike until someone can get it. If you come and it's not there, contact the Portland police. Quite remarkable. It's fantastic that Portland's riders are keeping an eye out for each other. A wonderful good Samaritan bought my bike for $80 from a homeless person, and checked your site to find that it was stolen and contacted me! I'm so relieved, and so grateful to my neighbor and to Bike Index! Good Samaritan buys sketchy bike, gets it back to the owner. I wish this happened less - i.e. the buying of known stolen bikes but fortuanately it wasn't too pricey this time. My bike was found! Thanks to (redacted), who followed the thief and went back to retrieve the ditched bike, and spent the time and effort to get the bike back to its owner. Thanks Bryan with Bike Index for helping him track me down as well. This is amazing. I feel so incredibly lucky. I'd not heard of Bike Index.org before today, but I recommend everyone register their bike, take some photos and register your serial number to make it easier when this happens. Bike Index + NextDoor + another good Samaritan = win! This bike theft victim showed up in my Nextdoor feed. From her post: I forgot that I left my bike leaning against the back corner of my house. I had left it out for an intended repair and accidentally left it out over night. Of course, it was gone in the morning. By the time I read her post, someone pointed her towards the Bike Index -- which was lucky, because another neighbor was already systematically trying to ID the bike he'd just reclaimed from a local thief. King County Sheriff's Office comes through again! Remember Sgt. Cindy West with the Kings County Sheriff's office from a few recoveries ago? On June 1st, some of her deputies recovered this absolute stunner of a ride - a distinct purple and orange 2014 Rodriguez Category 2. I didn't get the full story on this one yet, but I have to say I love the recovery photos that Cindy is posting - under her aptly named @Five-0 Twitter account. She's worth following, and I look forward to seeing more bikes coming back via the King County Sheriff's crew! A bike theft victim finds her bike for sale at a local shop. But wait! There's more! This bike theft victim had a thief climb her balcony to steal her bike - pretty unsettling. When she signed up with Bike Index, we advised her to monitor the usual places - Craigslist, Ebay, OfferUp, and so on - as part of the standard post-theft checklist. When the bike popped up days later it was listed for sale at a local bike shop. Even worse, the victim noted that the Yelp reviews of the shop point out the shop's reputation as a seller of stolen bikes. Unfortunately, the victim couldn't get SFPD to help out. Determined to get her bike back—she dropped in, and confirmed the serial number. The staff was pretty defensive but the victim got their bike back after a new threat to call in the police. So - is this the end of the story? Hardly. The victim alerted us to the other bikes this shop had listed—including one for a Cannondale System Six that was Indexed. We tipped the owner off and he was able to get SFPD involved. I went in for a test ride, rode around back to where the cops were, showed them my bike, compared the photo and serial and showed them that the numbers matched. After verifying the numbers with the police, the shop owner begrudgingly handed over the bike. I'm exceedingly happy to whoever you got a tip from. I cannot thank them enough. That shop has a litany of angry Yelp comments with nearly the same story. Yikes - I totally forgot about this one! 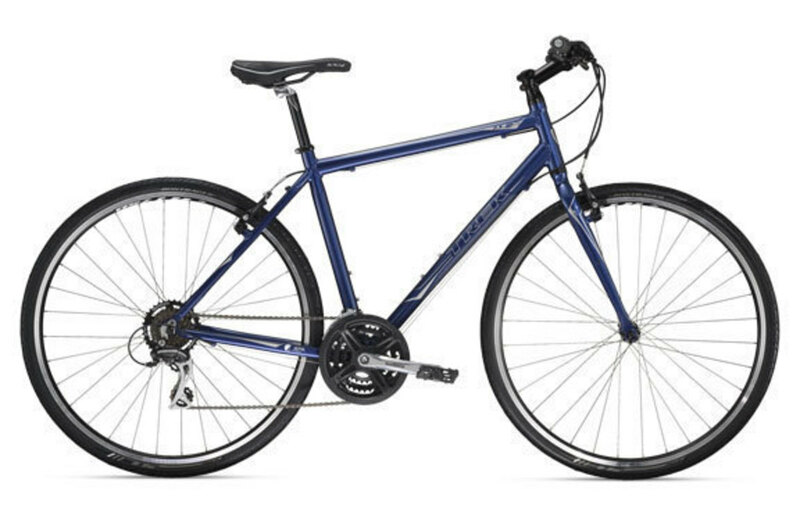 Sarah's Electra Townie was stolen on May 15th. On May 21st, @sarahcarrato spotted it downtown, and reached out for help over Twitter. I hopped on my bike and headed to where it was sighted, and the local PDX Twitter crew were also on it - specifically @kyouell and @neighborkelly and @rawwwr and @vanlue - who were pinging everybody in Portland's awesome cargo bike community to come help. While I was twenty blocks off the mark, @sarahcarrato finally spotted it in a local park and put out another call for help. A couple of the folks on the hunt beat me there (argh!) and recovered the bike from the 'traveler' types sleeping next to it. Here's the victory shot - happy owner @sarahgilbert with her recovered bike! And that, folks, concludes this week's recovered bikes round-up, thanks for reading! I can't wait to bring you more of these stories.